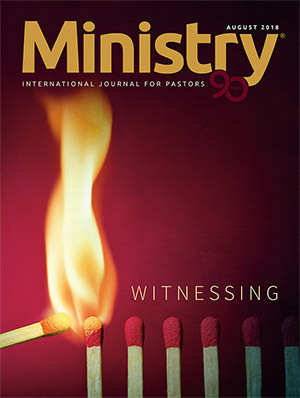 H. Jack Morris, DMin, LCPC , LCMFT,is the senior pastor of the Largo Community Church in Woodmore, Maryland, United States. The forty-two-year-old pastor was broken in many aspects of his life—health, marriage, and relationship with the church board and staff. The stress that he was experiencing was inordinate, resulting in distress. His family doctor told him that his current level of stress would be the death of him. He looked physically fit. His marriage had all the appearances of a couple in love. The church he was pastoring had recently completed a multimillion-dollar worship center, and the Sunday morning attendance had increased from an attendance average of 22 to well over 630. Like this pastor, many of God’s servants are experiencing stress from various sources, and in an effort to repress or cover over our problems, we are compounding our stress. Defeat, discouragement, mental problems, and broken, strained relationships are part of our experience. We feel insecurities, disappointments, fear of failure, loneliness, and the frustration of blocked goals. Pastoring is the most appreciated and unappreciated of occupations at once. We can soar to great heights or fall to new depths within moments of an encouraging compliment or a negative remark. I speak from personal experience, having been a pastor for more than 50 years. I wish I could say I have loved every minute of pastoring all these years, but I cannot. There have been times I questioned my call, wanted to resign and do something else, wished I were anywhere but where I was. There were occasions I felt very sorry for myself. I hasten, however, to say I would do it all over again. Being a pastor is who I am and what I do. I could not imagine myself having done anything else with my life. The joys far outnumber the other experiences—out-number them so much that I have a hard time even remembering the hard times. Some of the things that caused me the most stress during those years in the pastorate—and I am sure stress most pastors—are the insecurities, disappointments, blocked goals, fears of failure, loneliness, and other situations resulting in physical, emotional, and spiritual debilitation. Stress is a thief. Jesus said, “The thief does not come except to steal, and to kill, and to destroy. I have come that they may have life, and that they may have it more abundantly” (John 10:10, NKJV). Stress steals our happiness; physical and mental health; spirituality; marriage and other relationships; and, ultimately, our ministry. It is God’s will for us to live with spirituality, to live overcoming, victorious lives. He also wants us to live with healthy relationships and to be physically and mentally well. When stress occurs, the brain sends electrical shocks through the nervous system to the endocrine glands from which adrenaline is then released into the bloodstream, increasing the body’s energy level. Too much adrenaline can present serious health problems. The energy level increases significantly when adrenaline goes into the bloodstream, putting the body in a state of high alert. When this happens too often, the result can be high blood pressure, stroke, heart attack, headache, the breakdown of the body’s immune system, stomach ulcers, and other gastrointestinal problems. In addition to the physical problems, there are mental and emotional problems, such as sadness, depression, and anxiety that result from stress and increased adrenaline in the bloodstream. 1. Confession. All Christians occasion-ally sin—even ministers. They do not sin willingly and purposefully but because of their humanness. There may be an invasive thought, spoken word, action, imagination, or desire that is unbecoming for a follower of Christ. Guilty feelings will result if these are ignored and unconfessed. Guilt is a stressor. Guilty feelings will not go away with time. On the contrary, they dig in deeper and set in motion negative and harmful effects of stress. Confession is the means of dealing with guilt, overcoming it, and moving beyond its harmfulness. Confession is a spiritual catharsis, cleaning the soul and renewing a person spiritually, emotionally, and physically. God understands how weak and vulnerable humans are. Pastors are human and made out of dust like everyone else (see Psalm 103:14). 2. The Holy Spirit. Before Jesus left Earth to return to His Father, He promised that He would not leave His followers alone. He said He would send another Counselor-Comforter from God to remind His followers of Himself and care for them as He did during times of stress and hardship when He was with them physically. In moments of frustration, insecurity, and inclination toward anger, the Holy Spirit will begin to monitor our thoughts and reorient our thinking. The Spirit of God becomes the equalizer of stressful thinking. Being filled with the Holy Spirit means to have our minds transformed, which, in turn, monitors our thinking. Then our thinking passes through the brain into our nervous system. The Holy Spirit will fill our entire being, which includes the cerebral cortex, the thinking part of the brain. Think of it: every tissue of the brain infused with the Holy Spirit! 3. Prayer and the Word. A minister’s essential source of strength for handling stress is communion with God through prayer and the Word. Such communion transcends all human effort to survive and overcome stress and ensuing distress. 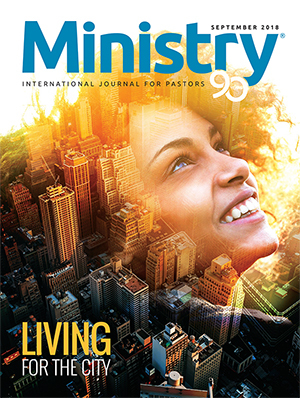 Through prayer, the minister talks to God—breathing out the stresses he is experiencing. 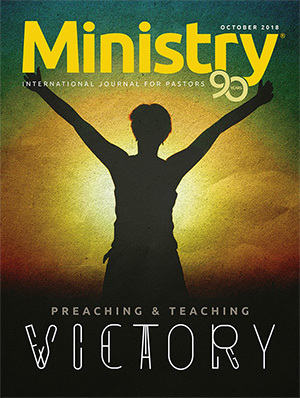 Through the Word, God breathes into the minister the life-giving Spirit, imparting strength to overcome and rise above the mundane of the earthly. 4. Reading devotional literature. A great source of spiritual and emotional help for pastors is the devotional writings of the present and past spiritual greats. Their insights and understandings of scriptural passages enliven the pastor’s spirit and strengthen his living. 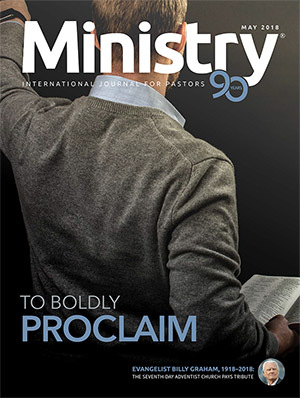 These men and women who have searched the Word, communed with God, and now share their experiences bring the reader into spiritual depths and transcending heights of spirituality. 5. The call. 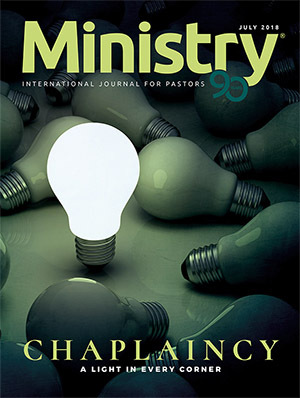 The call of God and the present ongoing awareness of the call is essential if the pastor is to remain in the ministry; be successful; and have mental, emotional, and spiritual wellness. More than anything else, it is the inner conviction, the divine compulsion within the depths of the soul, that one has been called by God that will keep him or her in the ministry when the demands, pressures, and stresses threaten to overwhelm him or her. Ministry is too difficult and demanding for one to enter and remain without that ongoing inner sense of the call of God. A few summers ago, with the approval of the church board, I decided to begin to begin the worship service thirty minutes earlier than during the school months. My reasoning was that the people would appreciate coming to church earlier in the morning in order to go out and enjoy the warmer weather. Nearing summer’s end, I did not quickly change the service time back to what it originally was at the beginning of summer. I got a letter in the mail from a church member accusing me of “deliberately deceiving” the congregation—that I had no intention of ever changing the schedule back to the original time. I was innocent of her charge; but I felt very threatened. I perceived that this lady and her family could do me and my reputation a lot of damage. My perception of being judged falsely sent me into red alert. I became angry, my pupils dilated, my face flushed, and my body tensed. I was on the defensive and ready for action. I was stressed! All this took place because of my perception. I perceived or interpreted this lady’s accusation as threatening my reputation and standing with the congregation. After several phone calls and face-to-face conversations, I am pleased to report that this matter was resolved, the family members are still active in the church, and I am still the pastor. The minister can do a lot to help himself or herself with managing stress in his or her personal and professional life. The following are some tested self-help strategies to manage stress effectively. 1. Participate in recreation and exercise. Physical exercise is an excellent way to take care of your body and helps maintain good mental health as well. Ministers need to balance work with recreation and exercise, which are proven means of achieving relaxation and relieving tension. Even a brisk walk burns off stored-up tension. Research has revealed that a fifteen-minute walk could have a greater calming effect than a tranquilizer and produce more energy than eating a candy bar. 2. Practice relaxing. When anxiety strikes, the heartbeat rises, and breathing becomes shallow and rapid. By breathing slowly and deeply, the minister can calm himself or herself almost instantly. This is healthy, not mystical. Breathe slowly and deeply through your nose, expanding your abdomen and rib cage as you release your breath through your mouth slowly. Silently say, “Relax” or “Let go.” It is surprising what a two or three-minute break a couple of times during the day will do for you. 3. Slow down. Look at your calendar and delete some of those nonessential activities. You do not have to attend every meeting. 4. Recognize your limitations. A pastor needs to set realistic goals and to pace himself or herself. Do not try to measure yourself by what other ministers are doing or have done. Everyone has a certain pace and definable limitations. Recognize yours and abide by them. 5. Learn to say no. It is hard for a minister to say no. Ministers are generous people, freely giving their time, their resources, and themselves. Learn to say no without feeling guilty. You cannot please everyone and serve everyone’s demands. Say no, and in so doing, take charge of your life and live healthier and happier. 6. Learn to laugh. Laughter stimulates the lungs, heart, back, and leg and arm muscles. Laughter helps regulate your blood pressure and heart rate and causes muscle tension to subside. Laughter is internal jogging. What a brisk walk or jogging does to relax muscles and relieve tension, laughter does for the internal organs of your body. “A merry heart doeth good like a medicine” (Prov. 17:22, KJV). Medical studies indicate that laughter releases chemicals called endorphins in the brain, promoting feelings of well-being. 7. Talk to someone. Share your feelings, anxieties, worries, and fears with a trusted friend or professional counselor. Emotional problems often come when we repress our feelings instead of dealing with them. Talking helps a person clarify and understand his or her feelings. 8. Organize and develop a schedule. The minister must not allow himself or herself to be controlled by circumstances and impulsive feelings—his, hers, or someone else’s. An organized person is someone who is in control. 9. Take time off. Pastors should take a couple of days a week for themselves and their families. Go on vacation annually. Many churches are now adopting a sabbatical policy for their pastors. A minister will always find something to do (or a parishioner will find something for him or her to do). He or she should leave it and go. It will be there when the pastor gets back. 10. Eat nutritional foods. Good nutritional habits contribute to good health and stress management. It sounds humorous, but there is much truth in the statement “You are what you eat.” Overeating and eating too many sweets and fast foods can become addictive and contribute to increased weight and stress. The story of my forty-two-year-old pastor friend has a good ending. Over time, he learned how to manage his stress by two test-proven means: spiritual resources and self-help techniques. He is still pastoring the same congregation and enjoying his work with the staff and church board. His relationship with his wife has greatly improved, and physical wellness is returning. Stress can be managed, and its harmful physical, mental, and emo-tional effects stopped and removed from the pastor’s life. You do not have to be a helpless victim to stress. Spiritual disciplines and self-help techniques will help manage and restore what stress has robbed, or is attempting to rob, from you. The minister is not a superhuman, just a human with avail-able resources for living a healthy life and serving the church effectively. 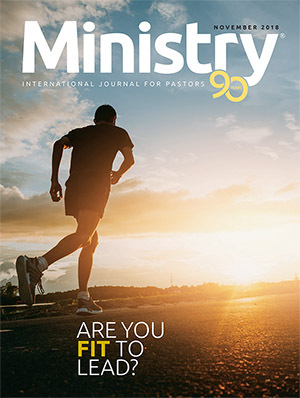 * The original version of this article was published in the Christian Counseling Connection newsletter (vol. 22, iss. 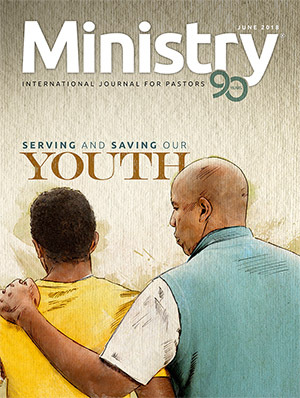 2), a quarterly publication of the American Association of Christian Counselors (www.AACC.net). Used with permission.